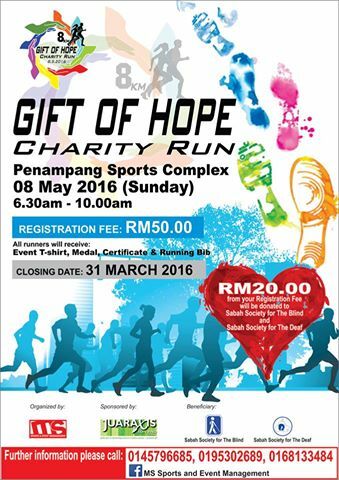 Gift Of Hope Charity Run 2016 | JustRunLah! A non-profit event in aid of Sabah Society for the Blind and Sabah Society for the Deaf. 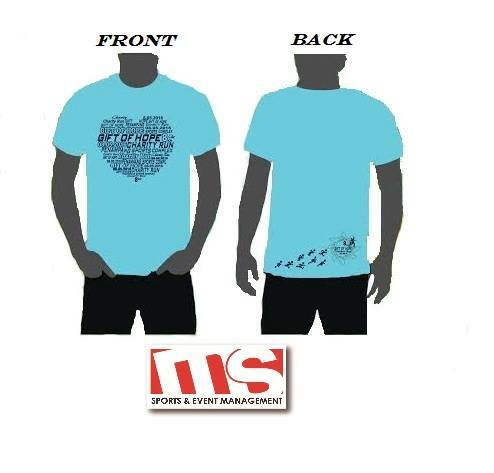 Registration fee of RM50, out of which RM20 will be donated to the above charities. 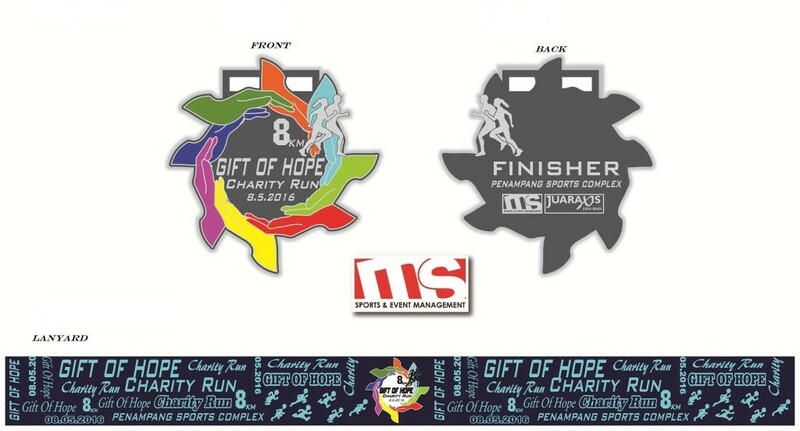 Every runner will receive event t-shirt, medal, certificate and running bib. Lot 71, Block K, Lorong Plaza Utama, Alamesra 88450 KK. We will issue a receipt to you by email/fax/whatsapp.